Buoyant drive with a dream car might turn awry if the driver doesn't have in possession some certain documents. At a first guess one might reason, is it the car ownership receipt? No, you should have necessarily gotten that upon payment for the drive. What then would earn you a frown from security operatives? Are you capable of squaring out with the Nigerian policemen knowing their disposition on a little err by you? You can save yourself the time by learning beforehand about one of specific car's permit - the tinted car permit. Ordinarily the Nigerian policemen wouldn't bother stopping cars with tinted glasses assuming that they are pockets-laden officials with the baton to perhaps down their career. However some of these cars might raise the suspicion of these state agents. The constitution has it's declarative say on the tinted glass issue which happens to be a weighty issue. According to the constitution of the federal republic of Nigeria, tinted glass permit is required legally if you are driving around in a tinted glass vehicle. This brings to fore the need to get a tinted glass permit for your vehicle. This permit however can only be given on two justifications - and thats according to law. One of such basis is security reasons. Personnels of various governmental department whom their position calls for serious privacy. This also goes down to company(both private and governmental) top personnels which need calls for so. The second reason for ushering a tinted glass permit to persons is for medical reasons. I would like to leave the law guiding tinted glass permit for now, although later through the article you will know more about the consequences and ruling of the law on this declarative issue. We are not ignorant of one fact that there are vehicles that comes tinted while there are those that are fitted with tinted glasses remotely by their owners. It is of note that tinted permit is only issued to vehicles with factory fitted tinted windows alone. The federation doesn't see the need of customising a drive by fixing a tinted glass. There have been queries about whether a national identification number would be required or not on application for a tinted glass permit? The NIN is an 11 digits number and a proof of your identity as a Nigerian. NIN contains coded,classified information about you - your fingerprints, your photo, your demographics and personal digital signature. This code is required when filling important documents like the tinted glass permit for proper identification. If you haven't your NIN, visit one out of 36 NIMC Registration Centers in Nigeria, where you will have to provide your fingerprints, demographics, a digital signature and a photograph. After your registration and your data stored, you will receive your NIN. Coming back to the law, it has it that the usage of a tinted glass vehicle without a permit is an offence punishable by law. It also says that only the Inspector General of Police has the authority to issue a Nigeria police tinted glass permit. The law binding the use of a tinted glass car in Nigeria is known as The Motor Vehicles (Prohibition of Tinted Glass) Act. 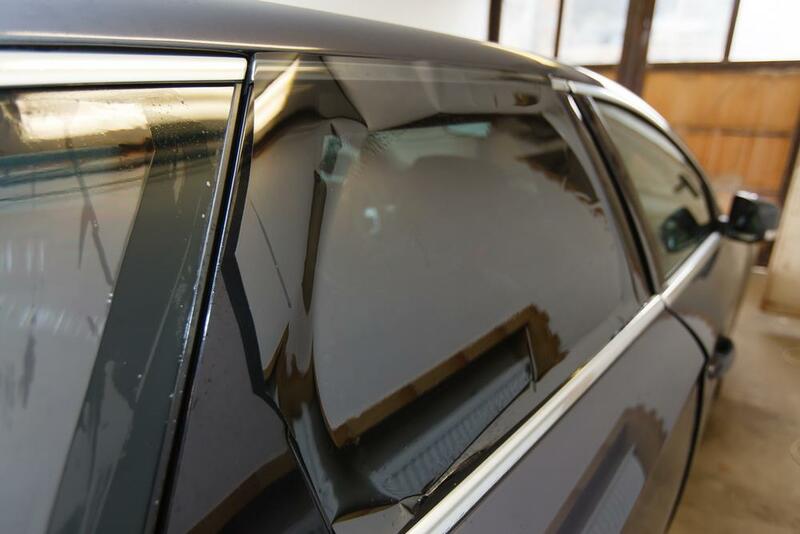 The act prohibits anyone from tinting or treating any glass fitted in a vehicle in a way that makes the person or material inside the car invisible or obscure. no person shall cause any glass fitted on a motor vehicle to be tinted; or shaded; or coloured lightly or thickly; or darkened; or treated in any other way, so that the persons or objects in the motor vehicle are rendered obscure or invisible". - section 1 of the document says. In section 3, the act declares that anyone who imports a vehicle with tinted glasses into the country is allowed to change the glasses within a period of ninety days. Anyone who decides to drive around in a tinted glass vehicle without a permit is eligible to a fine of fifty thousand naira or a maximum of six-month imprisonment or both. The tinted glass permit is free if what is written on the Nigerian police website is anything to go by, however you might be asked to pay some sums of money within the range of N20,000 - N40,000 to acquire a tinted glass permit. » Visit the official web page of the police tinted permit at http://npf.gov.ng/tinted/. There, you are to fill out the application form to get an Application ID. This application ID is your login password into the portal. » With the application ID, you need to log in with your registered email and the ID. » Upon logging in, complete the form - entering the complete details of the vehicle which you are obtaining the permit. »Read on how to track a stolen car easily in Nigeria! » After double-checking all entries, submit and print out the completed form. Take the form to any Police Command(preferable state headquaters) to capture your biometric. Inquire from any officer on how to go through this. » Preferably, you can log in to your portal to check whether your permit has been approved. As shown above, the process through getting a tinted glass permit is lenient and easy enough to get done without stress. The harassments by policemen couldn't be compared to the ease of getting this permit!